Coach Smith grew up in Lawrenceville, GA and attended Central Gwinnett High School. Smith competed in football, basketball, tennis and baseball while at Central Gwinnett, lettering in football, basketball and tennis. After high school, Smith accepted a scholarship to play football at Samford University in Birmingham, AL. During his football career at Samfor, Smith compiled numerous awards. He was named All Conference Linebacker (3 yrs), National Leader in Solo Tackles (2 yrs), Team Defensive MVP (2 yrs), Conference Leader in Total Tackles, Buck Buchannan Award Finalist, 2nd Team All-American, Charles Memorial Jersey Award Winner and Team Captain while he was at Samford. 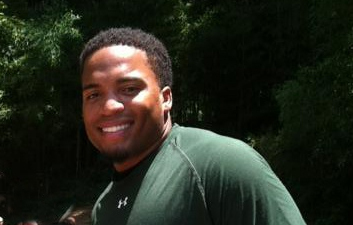 Smith graduated from Samford in 2011 with a degree in Exercise Science and Sports Medicine. Smith is a certified strength and conditioning coach through Expert Rating and is currently working on his certification through CSCS. Smith has four years of high school coaching in football, one year in baseball and one year as the Head Tennis Coach at Eastside High School in Covington, GA. He has mentored athletes while he was in college and high school. He has been a personal trainer for 6 years. He prides himself on determination and dedication in everything he does. His focus is to groom young athletes into champions on and off the field. Smith’s goal is to encourage athletes to push themselves beyond limits through knowledge and perseverance, while becoming a productive individual outside of sports. He has been a part of one of the premier personal training companies, U48 Fitness, out of Gwinnett County for the last two years. From Smith, “Personal Training is not a job for me; it is my life. If I can make an impact in one athlete’s life, then I am fulfilled.